On a snowy winter night our barn is like a living manger scene. 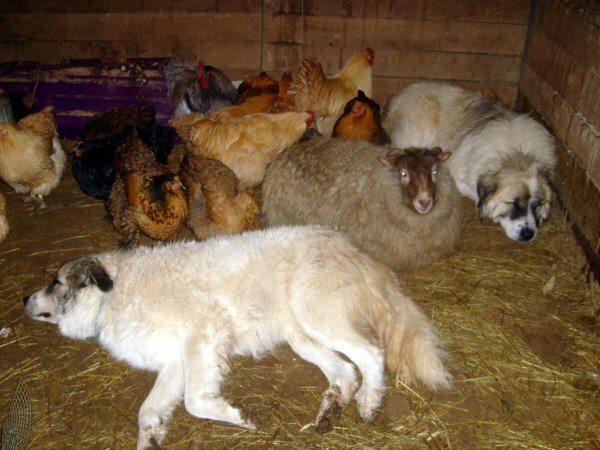 The dogs cuddle down with the chickens, ducks, geese, guineas, barn cats, and Petunia the sheep. The goats nestle down in the next stall and the cow and her calf next door.